Nice Laundry will spruce up your sock collection from your overplayed blacks and grays. Their dress socks are made from a combination of cotton, nylon, and spandex, for comfort and durability. Choose from four styles: athletic, no show, crew, and exec in over 100 designs. 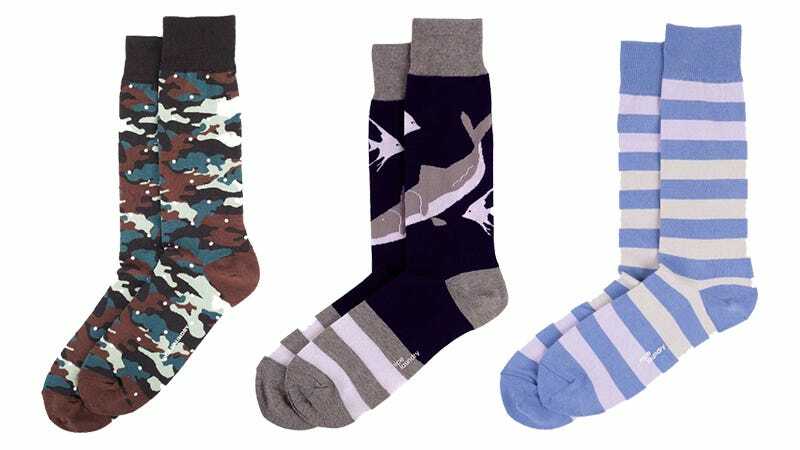 Use code GIZMODO and build a 3-pack of monogrammed socks for $49 to get one free pair at checkout. Full details here.